The cytotoxicity tests determine whether a product or compound will have toxic effects on living cells. They are commonly used as a monitoring tool for raw materials or finished medical devices. The hemocompatibility tests are used to determine the effects produced by a medical product or its components, when during its use they come into direct or indirect contact with. The evaluated biological effects are hemolytic properties, coagulation, thrombosis and immune reactions. Genotoxicity tests cover all three levels of genotoxic effects: effects over DNA, genetic mutations and chromosomic aberrations. 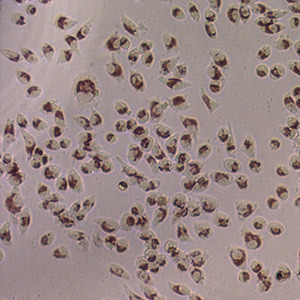 The in vitro evaluations are usually performed on devices that have prolonged or permanent contact with mucosa, bone, dentin, tissue or the circulatory system, including the reverse mutation test (Ames test), chromosomic aberrations test, gene mutation test using cells of mice lymphoma, and the micronuclei test in mammal red blood cells. In Vivo tests, like carcinogenicity and toxicity on reproduction and development, are performed when results of in vitro tests show potential genotoxicity, and in implants which are permanent or have reabsorbable materials. Depending on the medical device, other biocompatibility tests, in vitro or in vivo, may require to be included, among which the most common ones are the intracutaneus sensitization, irritation or sensitivity, systemic toxicity, sub-chronic toxicity, local toxicity and embryotoxicity. In BioAplicada we can provide advice for you to be able to perform all the required tests for the certification of your medical device.